PRSA President’s Cup: Little Wind, but Lots of Fun! We didn’t have much breeze for the 2017 PRSA President’s Cup, but that didn’t stop us from having fun! With 9 Lightnings registered we were anxious to get racing. It was fantastic to see Geoff Bishop (sailing with his daughter Gigi and with Molly Doyle) at his first regatta in his new boat on Sunday! It was also great to welcome Bill Mauk back to sail with us. Despite our enthusiasm, Mother Nature had other ideas, at least for Saturday. The river was so calm that you could see a picture-perfect reflection of the buildings on MD shore from the WSM docks. PRO Jim Graham postponed from ashore twice before (wisely) cancelling racing for the day. There were no complaints from the sailors as we all cracked cold beverages, engaged in some bocce ball competitions, tossed a frisbee or two, and enjoyed a beautiful fall afternoon that was rounded out by a tasty regatta dinner from Lebanese Taverna. There was not much wind on Sunday morning, but we were determined to go racing. The RC towed boats up to the course in a gentle northerly breeze. The wind held long enough for the Lightnings to get two races — far better than none! — as we tested our light-air sailing skills against each other. The competition on Sunday was tight, with lots of position changes in the tricky conditions. Congratulations to Bill Mauk (sailing with Kevin and Ricardo) for showing us how it is done! You can keep reading for some of my observations from aboard Lightning #14592 and, by all means, please add your own observations as comments on this post! Scores are posted here and you can view the photos from Lindsay Bach here. A link to final scores will be posted soon. A beautiful S/SW breeze both days meant that most classes got 7 races over the weekend and the Laser class ended up completing 12 races! A huge thank you to all who helped to make the 2016 regatta such a great success, including PRO Frank Gallagher and his RC crew, Heather Howard and Melissa Morgan for organizing a great BBQ, Nabeel Alsalam for scoring, Lindsay Bach for taking photos while on the RC, Lisa-Marie Lane for managing merchandise sales and check-in, DC Sail for their partnership in organizing the spectator cruise aboard the American Spirit, and all the other individuals who pitched in along the way. Dan Dunham also did a great job in getting us some local press coverage on the regatta! 2016 President’s Cup Regatta: Sept. 17-18! The 2016 PRSA President’s Cup Regatta will be heldSeptember 17 & 18 at Washington Sailing Marina, continuing the long tradition of competitive one-design racing started by the President’s Cup in 1934. The regatta will be sailed on the Potomac River on two courses. Visit the regatta website to view the NOR and register for the 2016 President’s Cup! Registration fees increase after September 11, so make sure to register and pay online before September 11 to save yourself a bit of cash. We had a fantastic turnout for the 2015 PRSA President’s Cup Regatta: 58 boats, over 130 sailors, and nearly 30 people on the Sunday spectator cruise aboard the American Spirit! Final results are posted here and you can click here to view the photos taken by Cheryl Shafer and Barney Harris. 2015 PRSA President’s Cup Regatta: Sign Up Now! The 2015 PRSA President’s Cup Regatta will be held September 19 & 20 at Washington Sailing Marina, continuing the long tradition of competitive one-design racing started by the President’s Cup in 1934. The regatta will be sailed on the Potomac River on two courses. One-person dinghies (Lasers, El Toros, Penguins) will race on Saturday in the cove near Washington Sailing Marina (WSM) or off of the power plant just south of WSM. Other classes (Albacores, Buccaneers, Catamarans, Flying Scots, Lightnings, I-20s, etc.) will race Saturday and Sunday on the north course between Hains Point and Gravelly Point (with the Capitol and national monuments as a backdrop). Register now for the 2015 President’s Cup and view the NOR and other race information. Registration fees increase after September 12, so make sure to register and pay online before September 12 to take advantage of the early registration discount! We are also thrilled to announce that we will have a spectator boat — the schooner American Spirit — on Sunday thanks to the generosity of DC Sail and the National Maritime Heritage Foundation. Complete details are available on the regatta registration website. Please note that the 2015 PRSA President’s Cup is being held on a weekend different than the annual LLS fundraiser. Read more about this scheduling decision in PRSA Commodore’s message to the association here. We’ve got some great sailing opportunities coming up — take a look at the links below and sign up! 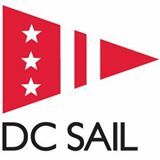 DC Sail Cantina Cup: Saturday, August 15. A great regatta, a fun party, and a fundraiser for a fantastic cause. Olivia Constants Team Race: August 22-23. Try your hand at something new, and support a great cause. You just need to have a skipper/crew; boats are provided and teams arranged on site via random pairing for 2 vs. 2 racing on Saturday, and more traditional 3 vs. 3 teams racing on Sunday. PRSA Fall Tune Up Regatta: Saturday, August 29 or Sunday, August 39 (date will be finalized soon). This will be a one day regatta for practice and on-the-water coaching. Scores will not count towards any series. This will be a great chance to tune up before the fall series, and perhaps to get some new crew out on the water. Check back for more info soon! Duck Challenge Regatta: August 29-30. A great regatta up in Havre de Grace, and our first Dixie District Purnell Cup Regatta of the fall! PRSA President’s Cup: September 19-20. This is the signature fall event for PRSA. Let’s make sure to get a great turnout in the Lightning Class! Register and pay online before September 12 to save with the early registration discount! We had a fantastic President’s Cup regatta this past weekend: two days of great breeze, close racing, and lots of fun on and off of the water. Thanks to Nabeel and Jim, along with their respective crews, for running the race committees on the upper and lower courses, and to Lee & Michelle for organizing a great BBQ for Sunday’s awards ceremony. Results and a summary of the weekend have been posted to the PRSA website. Many thanks and congratulations to all the competitors. Aaron, Lisbet, Rick and Bruce won the Lightning class on Sinistra. Frank, Christy, and Mladin were hot on the heels of team Sinistra in Frank’s new boat. Bob G., Lisa-Marie, and Jim took 3rd place in the class with some impressive sailing (including a bullet) on day 2 of the regatta. Special congratulations also go to Eric Peterson in the Laser fleet for winning the Norman C. Schaller award (given to the top skipper in the largest fleet of 10 or more boats). I look forward to seeing you all out on the water for the PRSA fall season. We’re starting things out a bit differently this year, with a one-day “boat-on-boat” series scored using the Portsmouth Yardstick rating system this coming Sunday, Sept. 14. Full details, including the NOR and SIs, will be posted to the website and distributed via the listserv very soon. This will be your chance to see how you stack up against boats of other classes in the same race! On Sept. 21 we then begin the usual PRSA Fall Series — an 8-week series of one-design racing. We will be sending along reminders re: RC duty, scoring, and other details in the near future. I look forward to seeing you all on the water soon! The 2014 PRSA President’s Cup Regatta will be held September 6-7 at Washington Sailing Marina. The NOR, Sailing Instructions, and other details have been posted to the PRSA regatta webpage. Please take a minute to read through these details and sign up on the “Who’s Coming?” list so that we know who will be attending and so that we can generate some momentum for the regatta. All competitors must register online and pay their entry fee (either via PayPal or mailed check) in advance of the regatta. A link to the online entry form and details regarding payment will be posted to the regatta webpage. We cannot accept registration fees on site given NPS enforcement of provisions that prohibit the exchange of money on national park grounds. We will be running the President’s Cup as a one-design regatta with the emphasis on racing. The Leukima and Lymphoma Society (LLS) party on Saturday will likely begin well before we finsih racing on the one-design upper course. Please plan accordingly, as the RC intends to conduct as many races as conditions allow. We will not be scoring boats separately for LLS racing awards. President’s Cup trophies will be given as described in the President’s Cup NOR. Any boats wishing to raise funds for the LLS should register directly with the LLS on this website: http://www.leukemiacup.org/nca/ The LLS strongly encourages online fundraising in advance of the event. However, cash or check donations will be accepted Saturday morning on board the Potomac Belle (stationed somewhere near WSM). Dinner tickets for the Saturday LLS party can also be purchased at that time.